This was a nice little gig: A large print for Bizspark Canada. 1. This is my first Microsoft gig for a while [Bizspark is part of their massive startup outreach program], so it felt good to be back in the ol’ saddle again. 2. 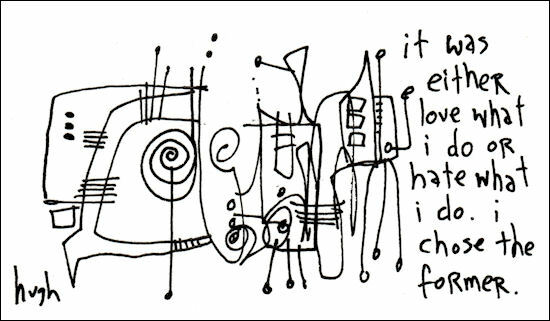 This piece is a riff on a familiar theme of mine, that a nation is only as good as its startup culture etc. As we see all the economic crap happening in places like Spain and Greece (Unemployment between 25%-60%, depending on the age group! ), it’s somethng we urgently need to teach our leaders, by any means necessary. 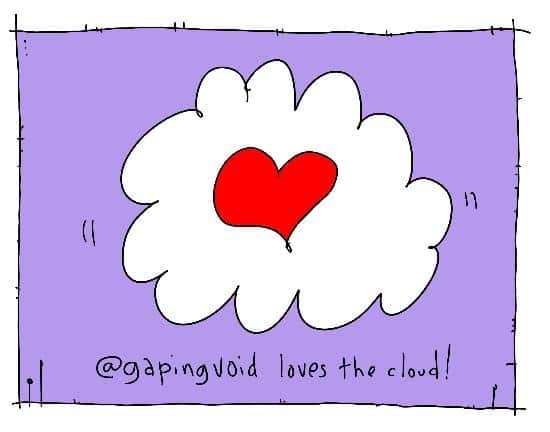 And yes, gapingvoid likes having clients who agree with us. 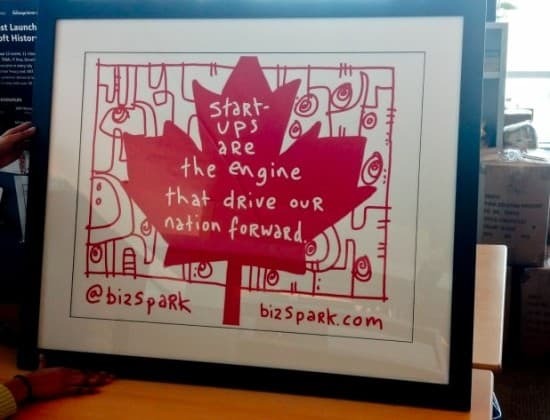 Thanks to Mark Gagne and the rest of the Bizspark Canada team for making it happen. Rock on.